The German concept of Passivhaus is a voluntary standard for energy efficiency that can be applied to any building across residential, offices schools and supermarkets. It is a design process mostly applied to new buildings but can also be applied for refurbishments. The result is a building where internal temperature can be regulated without artificial heating or cooling – comfortable in both midsummer heat and the depths of winter. An added bonus is a building that is quiet, free of draughts, mould and dust, costs very little to run and reduces its carbon footprint. The key components for design and construction include glazing, insulation and an airtight building envelope. this figure fall to less than 5.5 per cent of the energy consumption in comparable homes. The concept gathered momentum, and 27 years later some 50,000 certified passive houses have been built – mostly in European countries. The technology continues to be developed and improved at the Passivhaus Institute in Germany, which oversees the Passivhaus building performance standard worldwide. Designing and building your house to the Passive House standard in Australia is a viable option although built numbers are small, interest and industry support is growing. constrained world with increasingly unreliable power supply and a changing climate, a resilient home seems like a very good place to start. in Canberra. The article includes lessons learnt as well as considering Passive House design principles relevant to the warmer parts of Australia. In Australia, sustainably minded architects tend to employ passive solar design principles. But is that just because passive solar is better understood here, and which approach – Passive House or passive solar design – is more appropriate to Australian conditions? passive solar design, but “the two systems aren’t mutually exclusive”. An account of a warehouse refurbished per Passive House principles. The Australian Passive House association includes considerable information including FAQs and Find a Professional links. 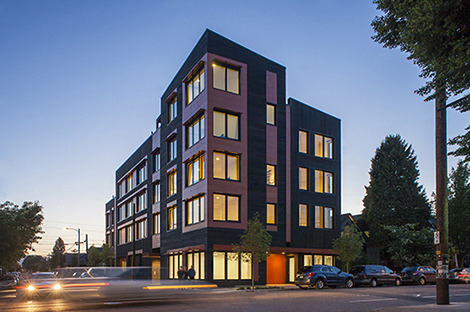 We are going to hear much more about Passive House principles in the future.